PARIS, France (PAMACC News) - African governments especially those of the Lake Chad Basin region want to secure the future of the precious but dwindling water body. The officials and experts have expressed the need for adaptation actions as a priority to save the Lake and the lives of the over 20 million people living in the area. Members of the Lake Chad Basin Commission at the presentation of a new plan of action to revive the lake at COP21 in Paris, December 2, 2015 said the local economy of the people in the region depended on the lake activities like fishing, agriculture and pastoralism going on in the upper catchment of the lake. “The new plan of action gives preference to priority areas like agriculture, infrastructure development and transportation facilities to ease evacuation of produce to the markets,” SAID Souleman Adamu, Nigerian minister of water at the project presentation. Statistics from the commssion show that more than 150,000 fishermen live on the lake's shores and its islands. The current estimate of annual fish production from the lake is about 120.000 tones and over 37 million tones of cereals exported annualy. Yet the people living around the lake officials say they lack access to safe drinking water and proper sanitation because of lack of the necessary infrastructure. “We think only the much needed infrastructure that will bring long term sustainability can ensure the success of the Lake Chad reviving project, “said Souleman. Poor water management he said can exacerbate the effects of climate change on economic growth, but if well managed, it can better neutralizing the negative impacts. At the opening of the COP 21 session on November 30th President Paul Biyaof Cameroon and peers of the Lake Chad Basin Commission had earlier put forth the case of not only securing the future of the regionalwater supply body but also the lives of the people around the area from the threats of Boko Haram. Like his Chadian and Nigerian counterpart and the Cameroon President shared the stakes in Lake Chad which he said was a living example of the devastation climate change was wrecking in Africa. ‘’We all watch helplessly how our precious regional water body has been dwindling over the years. But we think it is time we take engaging actions to bring life in the Lake which is an important resource to the people of this community,” Paul Biya said at COP21. Statistics show that the lake’s surface area in the past 50 years has been reduced from its initial 25,000 km2 to less than 2,500 km2 due largely to its waters drying up. Environment experts attribute this to increasing temperatures from global warming. The Presidents of countries of the Lake Chad Basin in their messages all sounded the note of warning about the absolute necessity to reach an agreement during this conference that will address the crises. 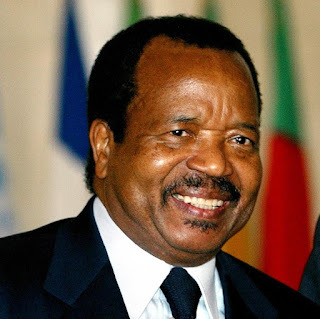 “We cannot afford to fail”, Paul Biya told the full conference hall shortly after the formal opening ceremony of the conference. As Cameroon’s contribution to addressing the climate issue, Paul said efforts were afoot to reduce carbon footprint by 32 per cent by 2035 while also controlling desertification and scaling up cooperation with other Central African States within the framework of the Central African Forests Commission and the Lake Chad Basin Commission with regard to water resources management. The same message was equally reiterated by Nigerian President Muhammadu Buhari. The plan of action which is to span a period of 10 years is estimated to cost some 900 million euros. 90% of this will be funded by donors and the remaining 10% by member states of the LCBC. The action plan the officials announced is geared at significantly contributing towards food security, employment and social inclusion by improving in a sustainable way the living standards of the people of the Lake Chad Basin Commission through provision of basic infrastructure, health care, education, access to clean water, protection of the environment, support to productive sector for easy access to resources and markets, conflict management, peace and security. The project will be funded by the African Development Bank. The increasing dwindling of Lake Chad the officials said was aggravating the environmental degradation in the region that is impacting on the social and economic well being of the population of member countries like Nigeria, Cameroon, Niger, and Chad. The effect on the degrading environment on migration is just stark with a new phenomenon of moving not for greener pastures but just for life safety experts say. The lake region leaders thus agreed securing the future of their drinking water supply will boost harvests in this drought-stricken area, where crop failures have driven thousands of farmers to suicide and pushing many youths to migrate to Europe.